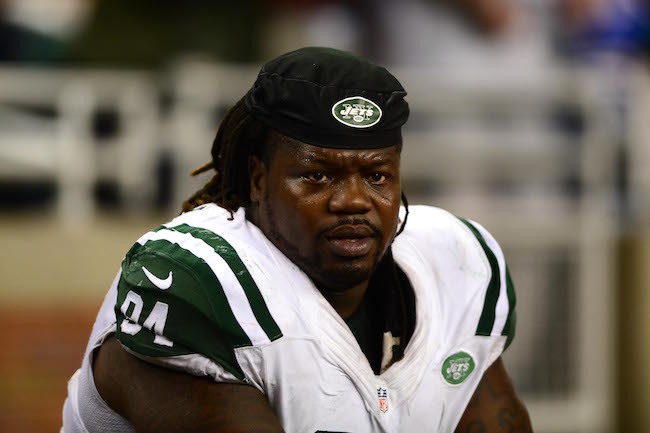 Multiple media sources are reporting that the New York Giants have agreed to terms with unrestricted free agent defensive tackle Damon Harrison (New York Jets). The contract is reportedly 5-year, $46.25 million deal that includes $24 million in guaranteed money and $30 million in the first three years of the contact. The 27-year old Harrison was originally signed as an undrafted rookie free agent by the Jets after the 2012 NFL Draft. In the last three years, Harrison has started every regular-season game for the Jets. In 2015, he accrued 72 tackles and 0.5 sacks. The 6’4”, 350-pound Harrison is one of the NFL’s best run-stuffing nose tackles. He does not get much heat on the passer. Harrison is a huge loss for the Jets. He is so good up the middle. One opposing coach told me he was the Jets DL that caused most problems. 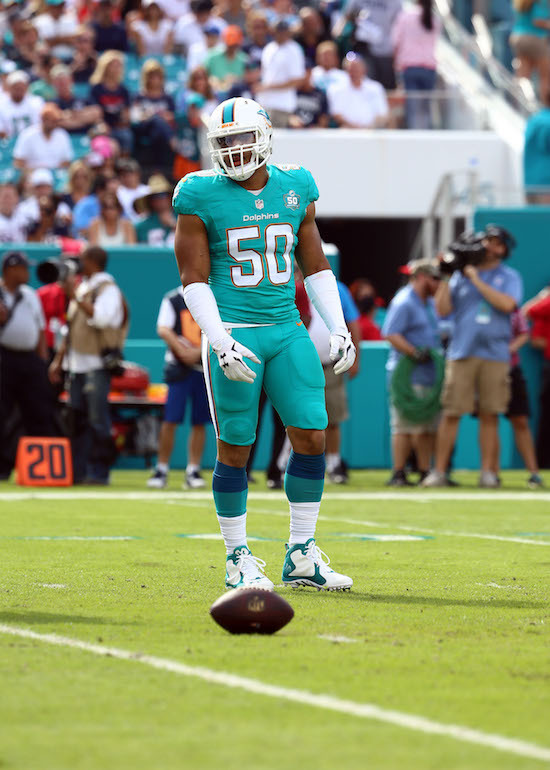 The NFL Network is reporting that the New York Giants and Jacksonville Jaguars are the two most serious contenders for the services of unrestricted free agent defensive end Olivier Vernon (Miami Dolphins). The 25-year old Vernon was originally drafted in the 3rd round of the 2012 NFL Draft by the Dolphins. In the last three seasons, he has played in every regular-season game with 46 starts, averaging 55 tackles and 8.5 sacks per year. The New York Daily News and BleacherReport.com are reporting that the New York Giants have expressed interest in unrestricted free agent wide receiver Mohamed Sanu (Cincinnati Bengals). However, Sanu is first meeting with the Falcons on Wednesday night. The 26-year old Sanu was selected in the 3rd round of the 2012 NFL Draft by the Bengals. In four seasons, Sanu has played in 57 regular-season games with 34 starts (27 of those coming in 2013-2014). Last season, he started four games and finished the year with 33 catches for 394 yards and no touchdowns. ESPN is reporting that the New York Giants have expressed interest in unrestricted free agent right tackle Bobby Massie (Arizona Cardinals). The 26-year old Massie was originally drafted in the 4th round of the 2012 NFL Draft by the Cardinals. The athletic, 6’6”, 316-pound Massie started all 30 regular-season games he played in the last two years. Massie was suspended for the first two games of the 2015 season for violating the NFL’s Policy and Program for Substances of Abuse (alcohol – DUI). The Giants had reportedly expressed interest in unrestricted free agents safety Rodney McCloud (Los Angeles Rams), safety George Iloka (Cincinnati Bengals), defensive end Williams Hayes (Los Angeles Rams), and offensive guard Mike Harris (Minnesota Vikings). But all either re-signed with their respective teams or another team. National Football Post is reporting that the contract cornerback Janoris Jenkins signed with the New York Giants is a 5-year, $62.5 million deal that includes $28.8 million and a $10 million signing bonus. According to his agent, New York Giants tight end Larry Donnell has received full medical clearance to resume football activities. However, The New York Post reports that the Giants have not seen the results of those medical tests yet. Donnell was placed on Injured Reserve in December 2015 with a neck injury. After a breakout season in 2014, Donnell had a disappointing 2015 campaign as his production dropped from 63 catches for 623 yards and six touchdowns to 29 catches for 223 yards and two touchdowns. He started all eight games in which he played in 2015.